About five years ago the Chairman of Wyke Farms, John Clothier, son of Ivy, was told he had high cholesterol and must change his diet. Unbeknown to John, his son Richard set about creating an alternative recipe to replace his everyday favourite, Mature Cheddar. Eventually, one of the test recipes tasted so much like Cheddar that even John, a devoted cheese connoisseur, was impressed. 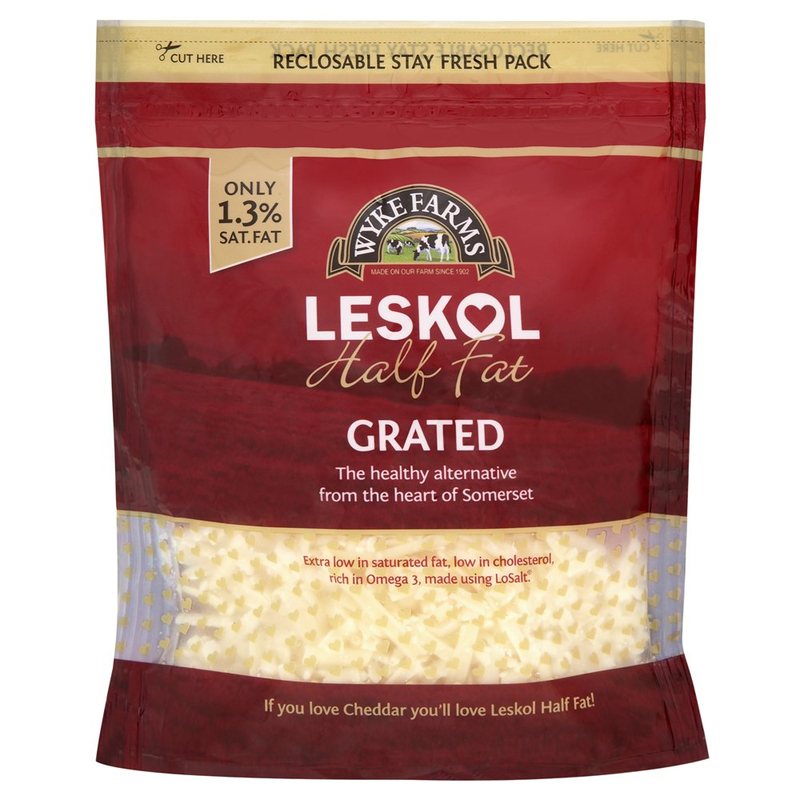 Even more impressive, Super Light (the new name for Leskol Half Fat) has 90% less cholesterol than Cheddar and contains only 1.3% saturated fat. It’s also high in Omega 3 fatty acids, has vitamin E and contains the same amount of calcium as standard Cheddar, so it’s great for growing kids. Award winning Super Light is made using skimmed milk, vegetable oil and LoSalt. It looks, tastes, slices and cooks in the same way as any mature Cheddar. Super Light is naturally rich in protein and calcium. It has added Omega 3 and Omega 6 but with only 1.3% saturated fat, approximately 90% less than regular mature Cheddar, it is the healthier choice. Super Light Cheddar is produced by Wyke Farms Ltd, a family run company based in the heart of the Somerset cheddar making region. Super Light was originally developed by the award winning cheese makers Wyke Farms to alleviate the high cholesterol of the chairman and family patriarch, John Clothier. Europe’s favourite healthier cheddar gets a make over! 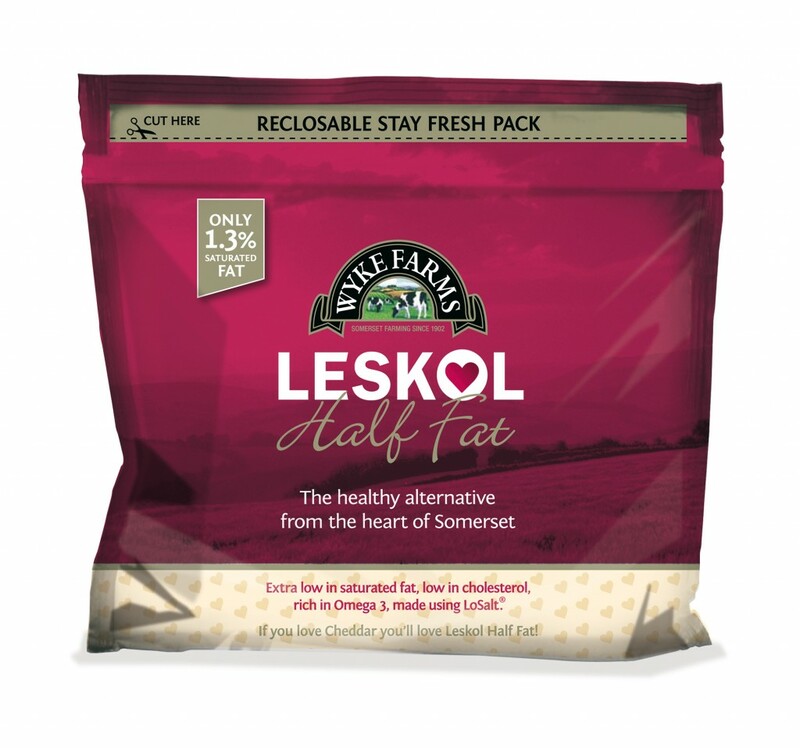 Somerset, England – September 2008 – A fresh new packaging design for Leskol Half Fat Cheddar, is unveiled today. In addition, fans of the healthier alternative to full fat cheddar will enjoy the improved smooth and creamy taste as a result of a new technique used to improve the texture; a move to help retain the ‘Gold’ status won by Leskol at last years International Cheese Awards. Appealing to the discerning female shopper the new Leskol packaging communicates the associated health benefits in a bright, fresh design. The new enhanced Leskol has an even smoother texture with a full-bodied flavour that is not usually associated with healthier alternatives. Award winning cheese makers, Wyke Farms originally developed Leskol to alleviate the high cholesterol of their chairman, John Clothier. It took 2 years to refine the recipe and was a real labour of love made for the family by the family. Last year the company redesigned the packaging in response to an overwhelming interest from the consumer for information on the story behind the cheese. Twelve months later this redesign is as a result of further consumer feedback. 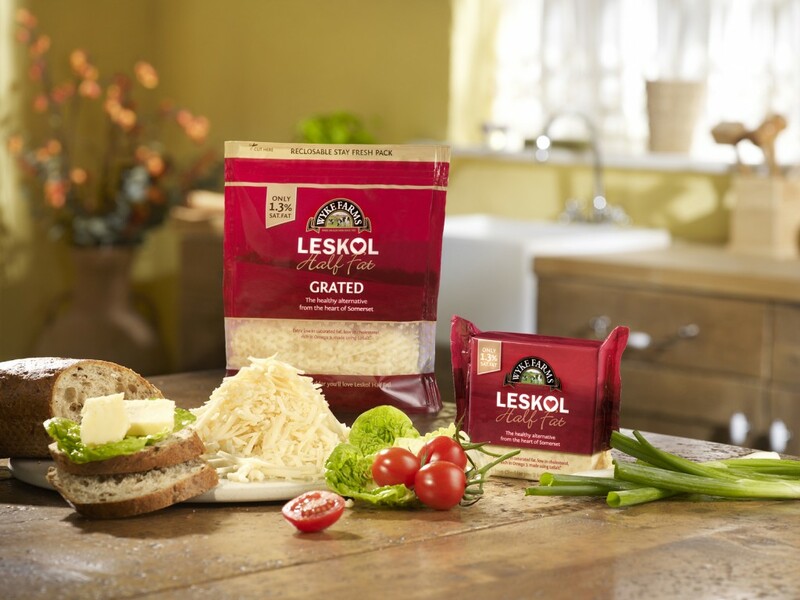 Looking, tasting, slicing and cooking the same as any Mature Cheddar, Leskol has one big difference; it has 1.3% saturated fat, approximately 90% less than regular Mature Cheddar. 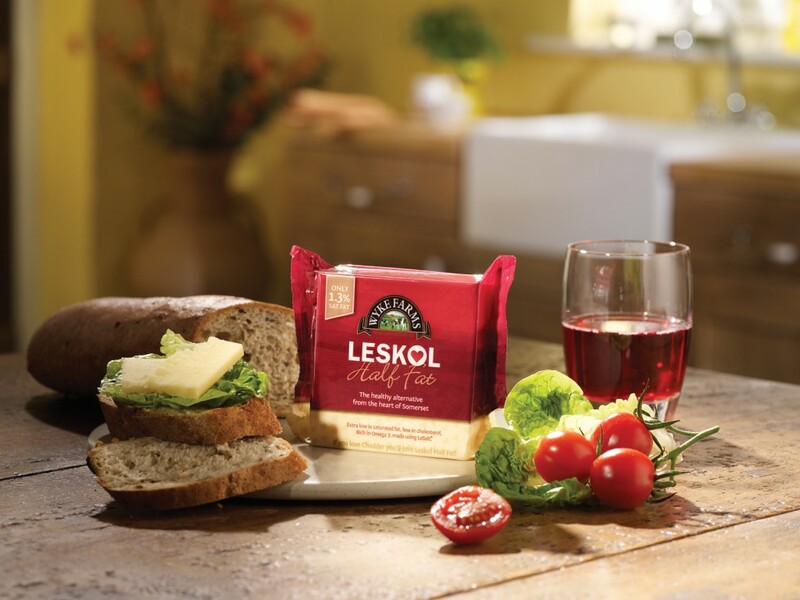 Naturally rich in protein and calcium and with added Omega 3 and Omega 6, Leskol Half fat Cheddar is an ideal family food.